"...It comes with four Thunderbolt/USB-C ports, four USB-A ports, 10Gb Ethernet, an SDXC card slot that supports UHS-II speeds, and a headphone jack. It has the same screen as the current 27-inch iMac Retina 5K and it is as beautiful on the Pro as it is on that other machine. The iMac Pro also has the usual complement of RAM and storage options — though "usual" in this case of course means top-flight components and the opportunity to get as much as 128Gb of RAM. (The base model has 32GB of RAM and 1TB of storage.) 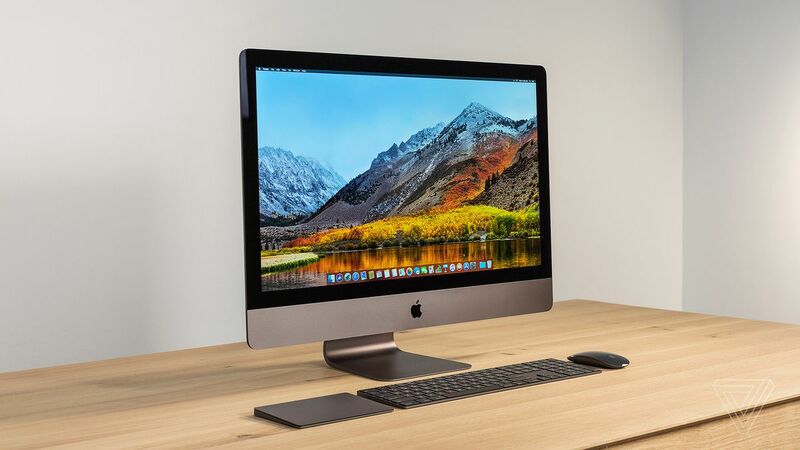 Apple says that the entire system has been optimized throughout so the iMac Pro will perform better than a custom-built workstation using the same components. Apple also argues that building a comparable workstation with comparable components will end up costing you as much or more than the iMac Pro. Much of that integration comes thanks to new, custom silicon that Apple is calling the T2. It's an integrated system that handles a ton of the deep computer controls that are usually handled by disparate parts of the motherboard. It handles audio, the image processing for the upgraded 1080p camera, and other system management functions. It also acts as a more powerful SSD controller, handling the compute load of file encryption directly rather than having it bog down your main processor.